ASTANA – Leading Kazakh and international experts presented a fully implanted ventricular assist device (FiVAD) at a Feb. 6 press conference in Astana titled Groundbreaking System for Patients with Failing Heart. 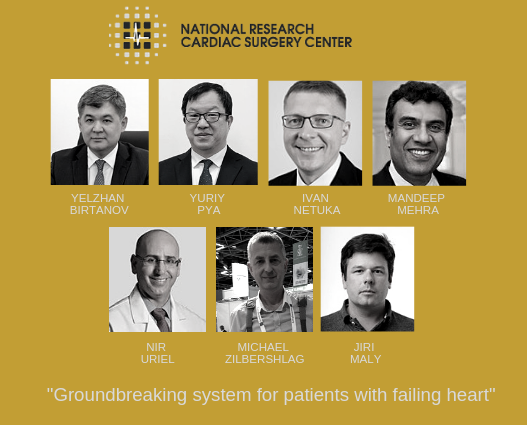 The first human use of a wireless coplanar energy transfer with a continuous-flow left ventricular assist device (LVAD) was carried out in the capital’s National Research Cardiac Surgery Centre last month, said its Chief Executive Officer (CEO) Yuriy Pya. The centre offers cardiology, interventional cardiology, cardiac surgery, intervention arrhythmology, rehabilitation, radiodiagnosis and laboratory diagnosis, treating both children and adults. Its scientific progress has contributed to Kazakhstan entering the top 30 leading countries in cardiac surgery complexity. 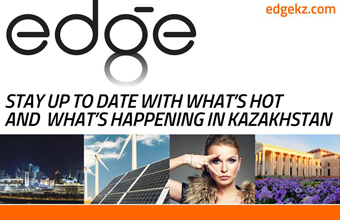 Eight years ago, LVAD implantation had never been carried out in Kazakhstan, despite great demand among patients with end-stage heart failure. Now, the procedure is routine at the centre. Twenty-four-year-old Ismayil Tursunov is the first patient to have undergone a new procedure with Leviticus Cardio’s FiVAD, and international experts made the trip to Kazakhstan to see his transformation in person. Kazakhstan’s newest contribution to LVAD implantation was recorded in an academic article in the Journal of Heart and Lung Transplantation and not lost on the journal’s Editor-in-chief and Harvard Medical School Professor of Medicine Mandeep Mehra. The FiVAD removes the risk of infection often caused by the transcutaneous drive line, which protrudes from the abdomen in standard ventricular assist devices. Patients can also walk without external equipment up to 8 hours a day. “[The new technology] is a potential game changer for patients’ quality of life. It restores patients to a life that they want to lead, in which they can swim, take showers and engage in normal life activities,” he added.